Levels of employment in the UK creative sectors have increased five times faster than the national average, according to a report by the UK Department for Culture Media and Sport. According to the report, entitled “Creative Industries: Focus on Employment”, total employment in the UK creative economy (which includes supporting fields outside the creative industries) has increased from 2.4 million jobs in 2011, to 2.6 million in 2013, an increase of 8.8 per cent. The report provides analysis employment statistics within the creative industries by sector and region, as well as a range of additional measures. The industries measured were architecture; crafts; design; film, TV, video, radio and photography; IT, software and computer services; museums, galleries and libraries; music, performing and visual arts, and publishing. One in every ten jobs held by graduates in the UK was in the creative industries. Almost a third (30.3%) of creative industries jobs were based in London. Women were found to be underrepresented in the creative industries, with the percentage of women employed lower than in the wider UK economy. Women filled 37.1 per cent of creative industry jobs, compared to 46.9 per cent of jobs in the UK as a whole. Representation of Black, Asian and Minority Ethnic workers in the creative industries has dropped slightly. 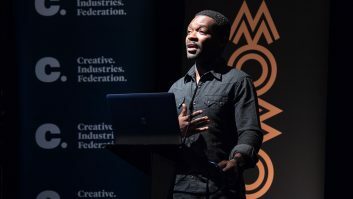 In total, 10.6 per cent of creative industries jobs were filled by BAME workers in 2013, a slight decrease from 2012 (10.8%), about the same percentage as in the wider UK economy. This report follows the Department for Media Culture and Sport’s January report, which claimed the UK creative industries contributed more than £8 million an hour to the UK and economy and generated £70 billion per year, outperforming all other sectors of the UK economy.